How much better does Skyrim: Special Edition look on current-gen? This much better. 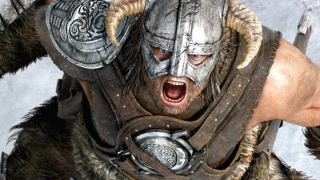 The Elder Scrolls 5: Skyrim is a game that will not die. Five years on since its debut, and it's gotten three DLC expansions, a Legendary Edition that compiles all content into one package, and now a Special Edition with enhanced graphics and mod support coming to Xbox One and PS4. But just how "special" is Skyrim: Special Edition? Are the differences really that significant? Trailers from publishers are nice and all, but sometimes they're a bit too polished and focused on selling you the idea of a product rather than the nitty-gritty. So I can appreciate two guys sitting down, comparing screens and video of a remastered game to its original counterpart and talking about what they notice. And I admit, this is more significant of a jump than I imagined it would be. Tempting enough to buy the game again? Well, I'll let you be the judge of that.